Amber has been interestedin healing and bodywork since childhood. Her passion grew while studying to get her Associates degree in Occupational Science at New York College of Health Professions. This 2600 hour program opened the door to vast array of modalities for her to include in her massage practice. The extensive knowledge of kinesiology, myology, and pathology taught in this program gives her an exceptional understanding of the human body and the tools to treat each patient in the most unique, productive and healing way. As part of the healing process Amber integrates European (Swedish), Amma (Oriental), Sports, Deep Tissue, Trigger Point, Myofascial Release, Reiki, Prenatal, Reflexology, and Hot Stone therapies to treat everything from stress and sore muscles to chronic pain and energetic imbalances. When she is not taking the time to heal others her passions include family, nutrition, yoga, art, music, dance, and almost everything outdoors. James has been interested in healing and massage for almost 20 years. After beginning a daily yoga practice in his early teens, he self-experimented with many nutrition, cleansing, and meditation techniques. He began doing massage on friends and family and found he had an intuitive sense as to where people held tension. He later became interested in energy work, and shortly after, received his Reiki I and II certifications. James attended Body Mind College in San Diego and received a 1000 hour Holistic Health Practitioner Certificate. During that time, he learned many modalities including Sports Massage, Deep Tissue, and Myofascial Release. He also gained experience in spiritual and nutritional counseling, as well as pursuing interests in shamanism and Tai Chi. James tailors each massage session to the client’s needs. His focus is on creating a therapeutic and healing experience for his clients that relieves stress and improves the function and feeling of the body. He blends different styles and techniques to create a very nurturing, relaxing, and effective massage. His attention to detail, ability to go very slowly, and comprehensive knowledge of the body are excellent for post-injury and post-surgery applications. Bridgette is an intuitive massage therapist that enjoys all varieties of body work. After graduating Denver School of Massage Therapy, she took her passion of healing to Truckee knowing she would be able to contribute to optimum health in a thriving community. She has been instructed in Deep Tissue, Trigger Point, Sports Massage, Prenatal, Cranial Sacral, Reflexology, Shiatsu, Acupressure & Swedish Massage. You can expect a deep understanding of your body’sneeds while she tailors her way through your muscles, manipulation specific areas of tension you may be struggling with. Whether you have a certain sports injury or just want to relax, Bridgette can accommodate to all depth of pressure to assure you that your getting exactly what you need in your session. Having the ability to position your body in a correct anatomical position, she believes stretching of the limbs is important to body work as it helps relieve stress in the joints allowing the body to properly adapt to its normal structure. Giving she has an incredibly holistic approach to her techniques you can be assured with time, you will be relieved of any stress you may have been holding on to. Bridgette is also an Integrative Nutrition Health Coach giving you a wide range of knowledge you may need, to help further you in pursuing any lifestyle changes you may need assistance with. Kristi began practicing massage in 2010 after completing over 1400 hours of education at the Swedish Institute in New York. She specializes in deeper work with a Swedish influence, with the goal of releasing tension in body, mind, and spirit. Kristi has a passion for holistic wellness, and is always seeking to learn more. In 2015 she completed a 200hr yoga teacher training, and is currently in a M.A. program for Health and Wellness Coaching with the Maryland University of Integrative Health. Kristi has lived in Tahoe since 2012, and enjoys playing outdoors in her free time. Wendy Lautner is a Certified Massage Therapist with more than 14 years of experience. After graduating from Phillips School of Massage with a concentration in Swedish and Shiatsu massage techniques in 2001, she completed additional trainings in Reiki (2011), Deep Tissue (2009), and Trigger Point therapy (2009). She is also a Certified Personal Trainer (2006) and Yoga Instructor (2015). Wendy’s broad knowledge of the body allows her to tailor every massage to meet her clients’ specific needs and goals. As a new mother (2012 to baby Archer! ), she has a special place in her heart for both prenatal and postpartum massage and believes strongly in its benefits for both mom and baby. Sore muscles aside, Wendy believes massage therapy is an integral component of any health & wellness program. Research continues to show that massage is one of the best treatments for stress and untreated stress is one of the biggest risk factors for many of today’s deadliest diseases. Outside of work, Wendy loves enjoying the outdoors with her family. She’s an avid cross country skier, telemark skier, runner, mountain biker, and whitewater kayaker. Nikoletta Bersentes received her massage training from the Holistic Chi institute in San Luis Obispo, California. After acquiring training in Swedish, deep tissue, lomi lomi and Reiki energy healing she decided to dive deep into Somatic body release and the healing arts. She than began studying with Sukha Wellness in Avila Beach with modalities including Cranial Sacral therapy, myofacial release, lymphatic drainage and received her facilitator license to teach and practice access conciouness. Nikoletta considers herself an art healer intuitively tapping in and listening to her clients needs as well as the body sending messages so she may help unravel, reset and center each individual to balance and homeostasis. Having taught yoga and movement in the body for over 15 years she furthered her studies traveling to Costa Rica and becoming a licensed Clarity breath worker. Clarity breath assists in the release of emotional baggage, injury and pain stored in the body. Gathering and collecting these teachings and experiences has cultivated in her a unique blend of therapeutic treatments to offer all individuals seeking well being. She incorporates and infuses her practice into the clients needs to create a safe healing environment for the body, mind and spirit. Brooke Wyrd started learning about bodywork while living in Hawaii and soon realized she was meant to do this work. After finishing her required courses she was later introduced to the world of Chakras, Energy and the subtle body in a Reiki class in Santa Barbara. She fell in love with this subtle world and has since found her work involves the energetic body just as much as the mental and physical. Brooke’s Integrative Intuitive bodywork tailors individually to each of her clients. She specializes in Swedish/Deep Swedish, Deep Tissue/Sports, Craniosacral, Temporomadibular Joint Disorder, Prenatal, Compressive Deep Tissue (barefoot floor massage), Reiki/Energy/Chakra/Aura balancing/clearing, and Sound Therapy. The body is integrated and needs to be looked at as such when addressing ailments, disfunction, areas of pain, stress/relaxation, etc. 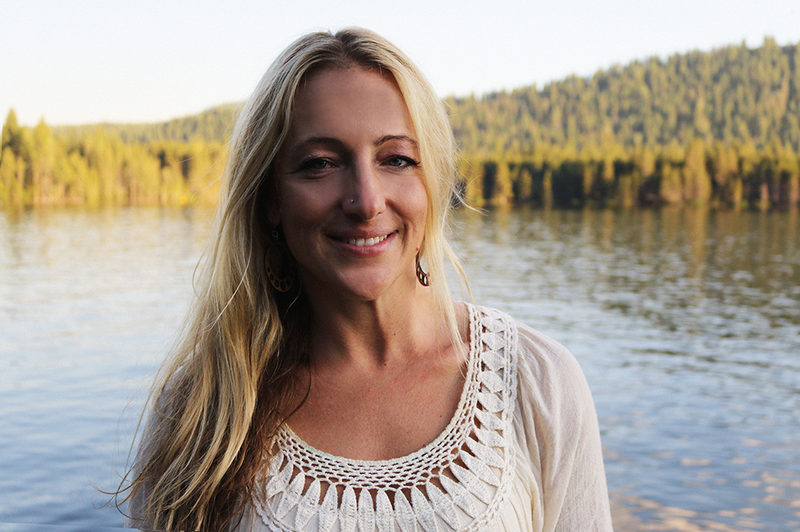 Brooke has studied at the Hawaiian Islands School of Massage, Santa Barbara Bodyworks, The Upledger Institute, the International Academy of Sound Healing and the Medicine Wheel in Ojai. Always looking for ways to further her education she continues daily self study, and attends classes and workshops often. Patricia Coyle Patricia believes in the body’s ability to heal itself and utilizes her expertise to assist in this process. She combines that notion with her clinical education from the Utah college of massage therapy, in Salt Lake City Utah. Where she learned Swedish, deep tissue, structural integration, trigger point, sports, pre-natal, shiatsu, craniosacral, acupressure, and hot stone. She uses a combination of these modalities in order to provide her clients with a thorough, soothing, and effective massage. She enjoys focusing on treating head and neck, and lower lumbar ailments. including chronic pain like headaches, TMJ, sciatica, and herniated or compressed disks. Patricia has always had a passion for holistic healing and helping others, and it shows in her work. Having moved to Truckee recently she is excited to share her passion and skills with the community. And is looking forward to working with you. Andrew DeMille specializes in providing personalized, intuitively guided, therapeutic massage. His services draw from and combine a unique blend of modalities including; deep tissue, sports, Thai, Jin Shin Do acupressure, Swedish, trigger-point, energy work and more. Andrew is a lifelong student who has traveled to study Eastern therapeutic bodywork in Chiang Mai, Thailand and Bali, Indonesia. He is also a graduate from the Certified Massage Practitioner program at California Holistic Institute in San Luis Obispo, California, a Transcendental Meditation Practitioner, and Yoga Alliance Certified Yoga Teacher. through life. I enjoy working with those who are motivated to heal and experience the body as a vehicle for consciousness. My hands are healing tools that melt through resistance with ease, bringing connection to the breath and the living vitality within body- heart & soul. 20 years ago I began my training spring of 1997 at Boulder College of Massage Therapy. I integrate relaxation,trigger point therapy,myofascial release and deep tissue massage in my work. I believe it is essential to be proactive in ones own health through nutrition, exercise, bodywork and a mind-body connection that encourages a healthy life balance. I moved to North Tahoe in 2000 where I enjoy my time with family, friends and all that this beautiful area has to offer. Jaymi has been working as a massage therapist in the North Lake Tahoe region for over six years. She specializes in a relaxing but effective combination of Swedish and Deep Tissue, with the addition of many other modalities based on her client's preferences and her intuition. These modalities include Trigger Point, Aromatherapy, Lymph Drainage, Myofascial Release, Thai Massage techniques, Reflexology, Reiki, Sound Healing, and Hot Stone. She is drawn to areas of tension and takes the time to sink into tight muscles and surrounding tissue to help the body self-correct imbalances. In each session, Jaymi addresses the physical body/mind/energetic body as an interconnected whole whether you're looking for relief from muscle soreness, chronic pain, and/or mental stress. Her personal practices include yoga, meditation, aerial silks, climbing, running, and paddle boarding. She has completed coursework at the Napa Valley School of Massage, Massage Therapy Institute (Davis, CA), the Bodhi Tree Center (Carson City, NV), and the Old Medicine Hospital in Thailand. Cisco Ford started practicing Massage Therapy in California during 1999 after graduating from the Nova Institute. Taking the knowledge received from doctors and holy men he has focused his bodywork to find tension with intuition, rub origin to insertion and targeting trigger points within the muscles belly to relieve unwanted stress. Each session is unique and customized to provide healing for the clients needs in the present time. While swedish, deep tissue, trigger point release, craniosacral therapy and range of motion testing are his primary tools, Cisco is trained in many other healing modalities including shiatsu, sports massage, acupressure, prenatal, reflexology, aromatherapy, yoga, meditation, and tai chi. 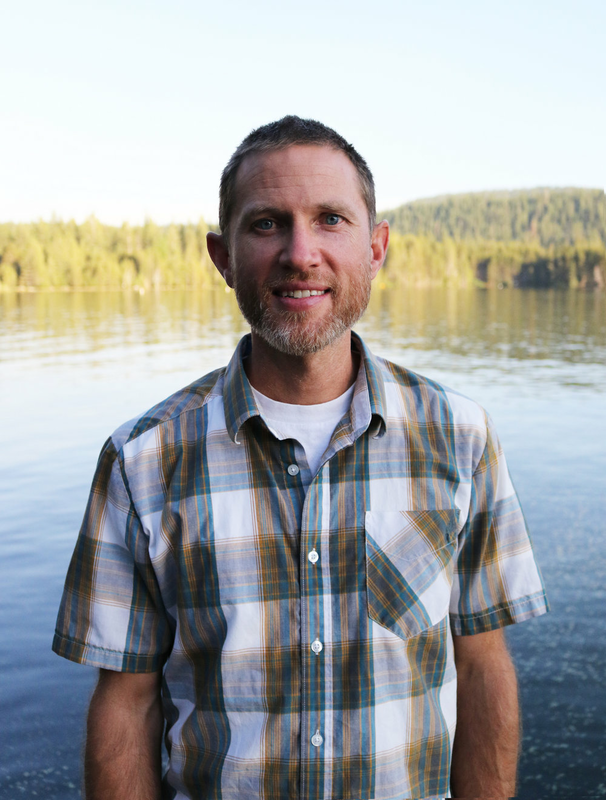 Working primarily alongside chiropractors in the Los Angeles area he treated hundreds of clients before moving with his wife and kids to Truckee in 2001. Cisco continued his holistic routine and provided a healthy lifestyle for his family keeping educated on quality food, herbs, oils, and tinctures to ensure a strong household. He focused energy into massage therapy, emergency medicine while patrolling at Northstar, taught snowboarding and shredded Squaw Valley. With twenty years of experience he has great intuition, love, passion and will provide an unforgettable experience while applying the perfect amount of pressure to release tension and give his clients peace of mind. Certified Yoga Instructor and Esalen Deep Body Work inspired massage therapist, Laura continues her research and training at the Esalen Institute of Massage Therapy in Big Sur, CA. With an intuitive holistic approach to healing, she inspires our innate ability to connect mind, body and spirit while unraveling physical, emotional and energetic tension layer by layer. Her practice embodies a genuine sense of care for each individual by truly listening to what is present and focusing on specific needs and/or injuries that a person may be carrying. Using breath work and intention, Laura creates a safe container for total relaxation. Slow long strokes throughout the entire body allows deep layers of connective tissue to release areas of tension, increase circulation, improve mobility and range of motion. Creating new space in your body from the inside out positively effects the biomechanics of the neuromusculoskeletal system and allows you to feel the long term benefits after a single session. Laura blends techniques from different backgrounds such as Esalen Deep Body Work, Deep Tissue, Shiatsu, Thai Massage, Sports Therapeutics, Reiki, Myofascial Release, AcroYoga Inversion Therapy, Deep Belly & Visceral Release Therapy, Cranial Sacral, while offering insightful suggestion for stretches and Yoga therapy. The base of all talent comes from a broad understanding of human body. Strength and sensitivity can only be acquired from years of practice. Being open to the possibility that the healing process sometimes exceeds knowledge and understanding.